Welcome to the Stan Winston School of Character Arts Creature Sculpting Contest! To enter this contest simply post a new discussion in the "Creature Sculpting Contest" category. Please include a description and high rez pictures of your creations. Video submissions are cool, too! Just upload your video to YouTube and share the link in your post. We'll consider creature sculptures of all kinds, the only requirement is that the submission is your original work. Do you sculpt lots of creatures? Not a problem! You can submit as many as 3 entries to the contest. 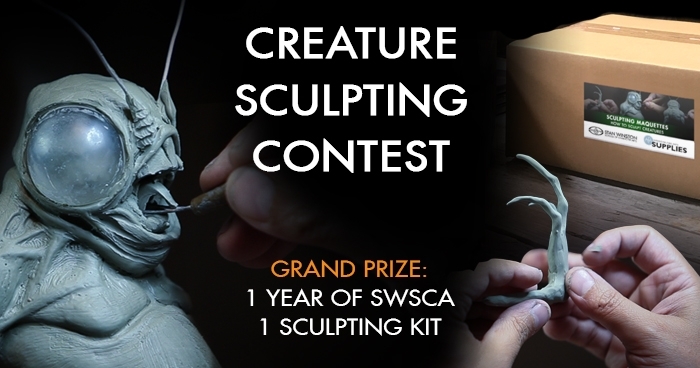 So share your creature sculpts and you could win the Grand Prize! 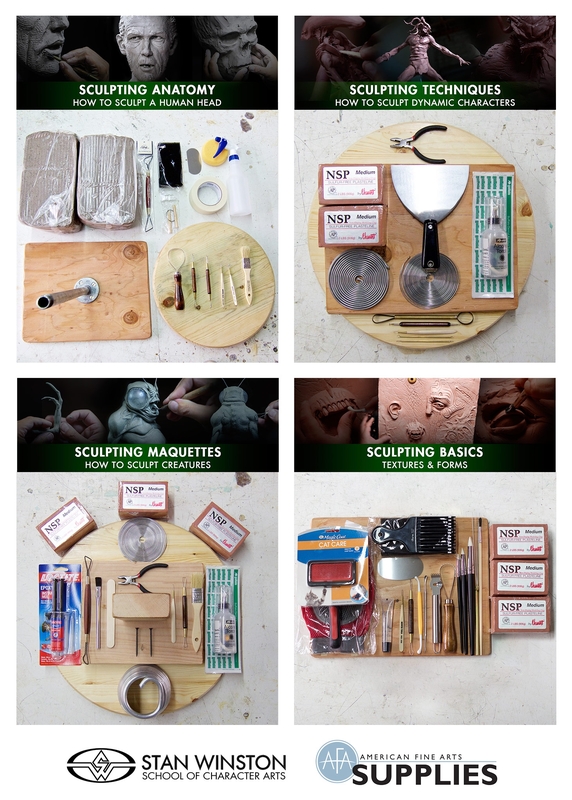 Check Out Our New Sculpting Kits! All contest participants will receive a special promo code for 30% Off Stan Winston School subscriptions! Code valid for one (1) month from date of receipt. To be considered for the contest, all entries must be posted by Jan 22nd, 2017. The deadline has been extended for the holiday season. We will select and announce the winning artist on Jan 30th, 2017! 4. CONTEST ENTRY: All submissions must be the ORIGINAL WORK of the contest entrant, and received by the date and time outlined on the Website(s). For purposes of these Official Rules, “receipt” of Entry occurs when Sponsor’s servers record the Entry information resulting from contestants’ entry being posted in the SWSCA CREATURE SCULPTING CONTEST forum category. Any automated computer receipt (such as one confirming delivery of email) does not constitute proof of actual receipt by Sponsor for purposes of these Official Rules. By entering this contest, you grant SWSCA the irrevocable right to share your submission photos and/or videos on our website, email, and social media channels, copyright is retained by original author. Sponsor reserves the right to disqualify any Entry for any reason, in its sole and absolute discretion. Odds of winning depend upon number of entries received. I'm not good at drawing. Can I have a friend draw the picture and I sculpt it? Richard: I will be sending out the first round of discount codes this week. James: Sure, as long as it's your own sculpture you enter. Im from Australia and I wanted to clarify whether i can enter or not? Amir: Everyone is welcome to enter as long as entering an online contest is legal where you live. I'm not familiar with Australian law, so I can't say for certain what local restrictions may apply to you. do we have to post the sculptures psychically or just the pictures on the webpage is enough? To enter the contest you need to post photos or video of your sculpture here on our forums, in the "Creature Sculpting Contest" category. Thank you for the answer Chris. So is the deadline still 22nd? Im seeing people still posting submissions. The contest is closed for entries, but folks are still posting comments on past submissions. When comments are posted it highlights the discussion and brings it back to the top of the discussion list, but no new entries have been posted since 11:59pm on the 22nd.